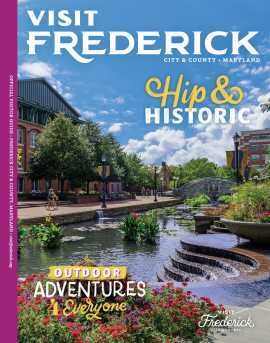 Frederick, MD – As spending by visitors to Frederick County rose from $361.2 million in 2013 to $380.4 million in 2014, it meant that for the first time average daily spending by visitors to the county topped one million dollars, according to a newly released study. The Economic Impact of Tourism in Maryland is compiled annually by Tourism Economics, an Oxford Economics Company. The report for calendar year 2014 was released on Dec. 16, 2015. This annual report examines the tourism industry in the state as a whole by looking at sectors including lodging, food & beverage, retail, recreation, transportation, and more. Additionally, the report provides tourism statistics for each Maryland county, as well as Baltimore City and Ocean City. The figures reflect spending by people who travelled at least fifty miles for a purpose other than commuting to work or school. The study shows that in 2014, nearly 6,500 jobs in Frederick County were supported by visitor spending, covering payroll of $237 million. Those figures include jobs that exist directly and indirectly as a result of the tourism industry. Visitors paid combined Federal, State and local taxes of $104.5 million. The $380.4 million spent by visitors in Frederick County Tourism in 2014 grew by 5.3% over 2013. Transportation expenditures accounted for 26.2% of tourism industry sales, and food & beverage was a close second accounting for 25.9%. Recreation and retail each accounted for 16.1%, followed by lodging at 13.6% and second homes at 2.1%. Every category experienced growth except for second homes. The state of Maryland’s visitor economy accelerated in 2014 as tourism industry sales rose 6.1% to $16.4 billion. Tourism industry sales measure only direct impacts on the travel industry. Growth in the state was led by overnight visits and leisure markets continue to drive performance. If Maryland tourism was a company, it would rank 188th on the Forbes 500 list. Tourism Economics, an Oxford Economics Company, works with more than 300 leading companies, associations, and destinations to compile annual economic impact, forecasting, and marketing assessments. The company has vast experience in providing actionable and credible analysis of tourism.